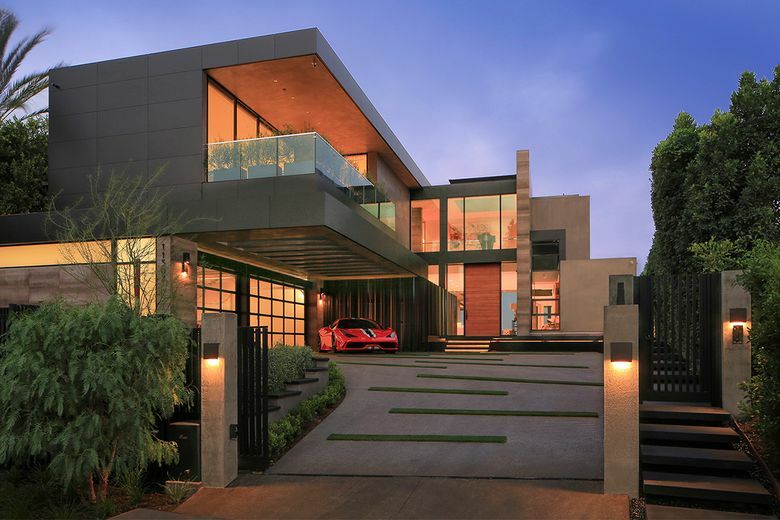 The 10,044-square-foot home sits on a promontory lot that spans 1.31 acres with city views. 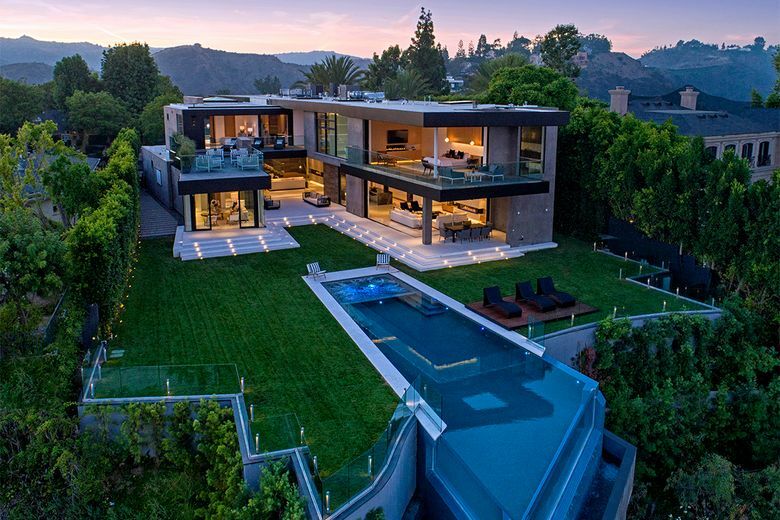 Trevor Noah, host of “The Daily Show,” has shelled out $20.5 million for an eye-catching estate in Bel-Air, California. Spanning 1.31 acres on a promontory lot, the 10,044-square-foot home is entered through a pivoting front door made of paneled wood. 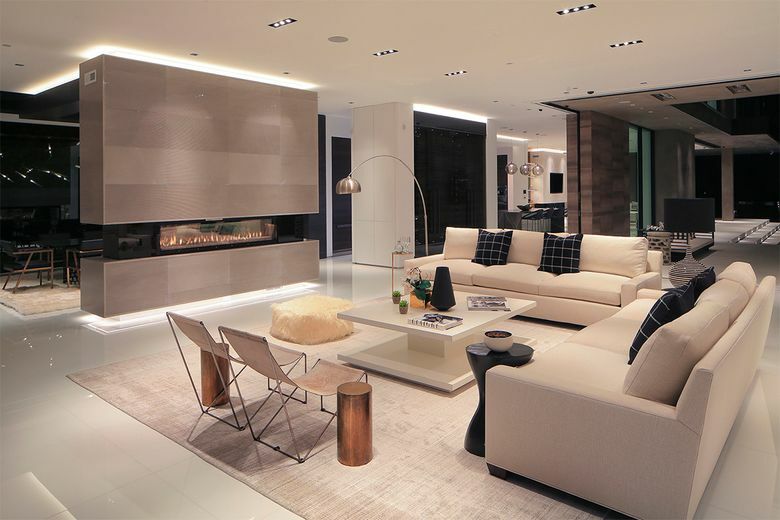 Finishes of polished glass, leathered marble and limestone touch up the open-concept floor plan. In addition to five bedrooms and seven bathrooms, the home holds a chandelier-topped dining area, a double-island kitchen and a wet bar with a 500-gallon aquarium. Pocketing doors connect two living rooms to the backyard. On the corner of the second story, the 2,200-square-foot master suite takes in city-light views through walls of glass and a wraparound balcony. Amenities such as a wine cellar, movie theater, cigar room, cabana and three-car auto gallery fill out the rest of the space. Out back, a grassy lawn approaches a 62-foot swimming pool with a cantilevered edge. A native of South Africa, Noah has found success in comedy and television. After joining “The Daily Show” as a correspondent in 2014, he succeeded Jon Stewart as host the following year and inked a five-year extension in 2017. 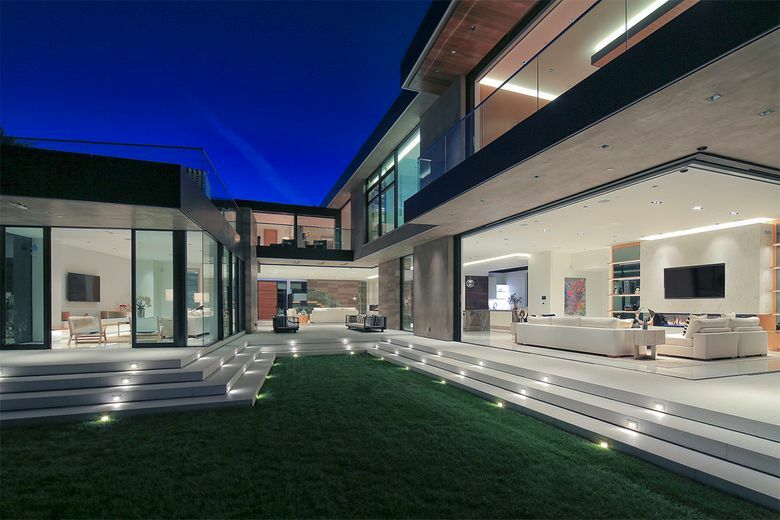 The property first hit the market last summer for $20.995 million, according to the Multiple Listing Service.